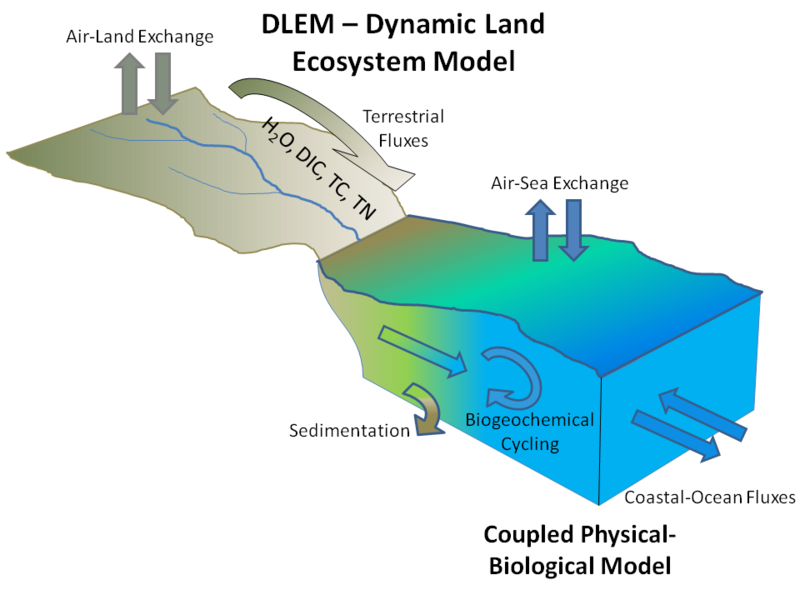 Our current NASA-funded research seeks to develop an integrated suite of models to be used in conjunction with remotely sensed as well as targeted in situ observations with the objectives of describing processes controlling fluxes on land, their coupling to riverine systems, and the delivery of materials to estuaries and the coastal ocean. The work focused on the Mississippi-Atchafalaya River Basin (MARB) and northern Gulf of Mexico. The models are capable of reproducing observations in both the river and coastal ocean sub-domains and have the capacity of hindcasting and forecasting consequences of land use and climate change scenarios. Our ongoing work seeks to expand the spatial domain of the model framework to include the regions of the southern and southeastern U.S. and the South Atlantic Bight (SAB). 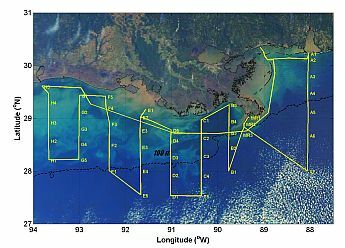 The GulfCarbon project carried out a series of cruises in 2009 and 2010 in conjunction with an intensive observational effort funded by NSF (OCE-0752110 and OCE-0752254) and entitled "Satellite Assessment of CO2 Distribution, Variability and Flux and Understanding of Control Mechanisms in a River Dominated Ocean Margin". A representative cruise track for the GulfCarbon cruises covers an extended region of the northern Gulf of Mexico as far west as the Sabine River and to the Mobile River in the east. More detailed information data can be found in project publications and data pages.